• The paddles change size in logMAR steps of 0.4. These paddles are or to, but their use is certainly not limited to these applications. 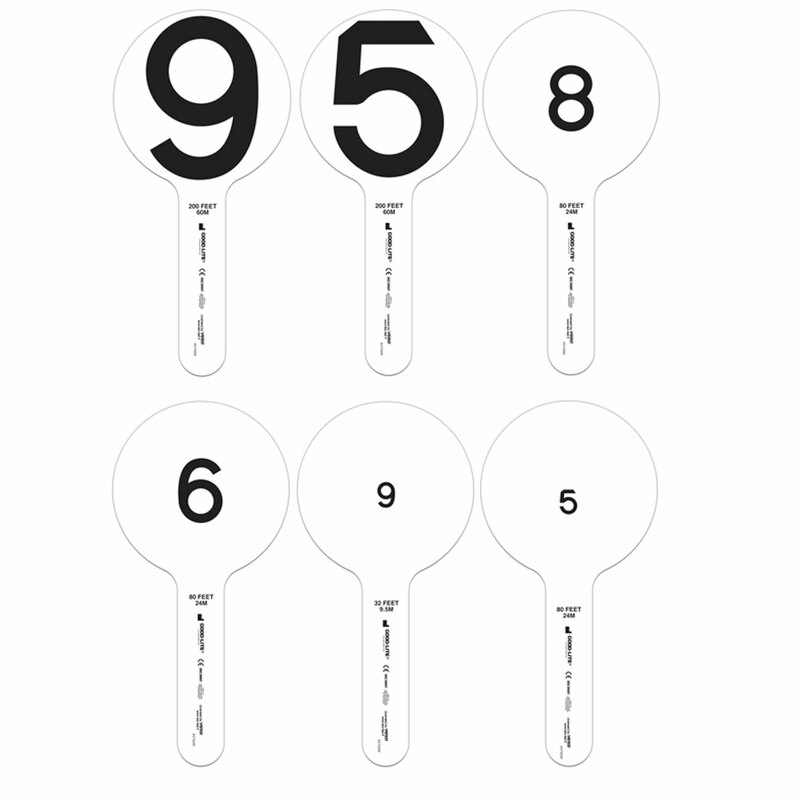 For targets the paddles have single numbers, or "optotypes", like one would find on a visual acuity chart. The paddles have handles which makes it easy to move the paddles and to reverse them, changing the side that is visible to the patient. The set consists of six paddles, a pair for each of three sizes of optotype. For each pair, one of the paddles is blank on one side. The optotypes are LEA NUMBERS, and the sizes are printed on the paddles: 200 feet (60 meters), 80 feet (24 meters) and 32 feet (9.5 meters). These distances in feet or meters represent how far away you would need to hold the paddle for a person with 20/20 (6/6) vision to be barely able to identify the optotype.